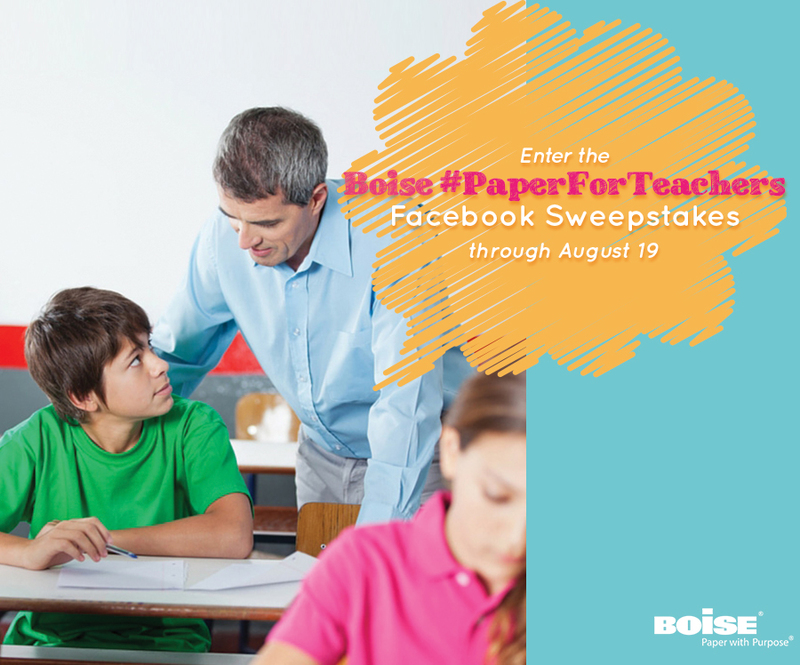 To celebrate the start of the school year and thank teachers for their dedication to students throughout the country, LCWA helped client Boise Paper develop a month-long, digital campaign that would thank teachers across America for their role in educating children. The campaign consisted of three key components – a social media program, blogger partnerships and a sweepstakes. The month-long social media campaign consisted of engaging Facebook and Twitter posts that featured statistics on the benefits of paper in education. During the same time, we partnered with eight bloggers to discuss back-to-school shopping and the importance of quality paper, such as Boise POLARIS® Premium Multipurpose paper, when it comes to learning. Finally, in order to help our social media fans thank their favorite teacher, we hosted a sweepstakes where entrants were asked to share who their favorite teacher was to be entered for the chance to win an Office Depot gift card for their back-to-school shopping and two cases of premium paper for their favorite teacher. Overall the program successfully generated more than 1 million impressions and showed teachers across the country that Boise Paper appreciates all they do for students.